There was the time (mainly in the DirectX 7-9 era, up to about year 2011-2013) when GPU hardware and software as well as consoles were constantly getting better, but were not quite "there yet". 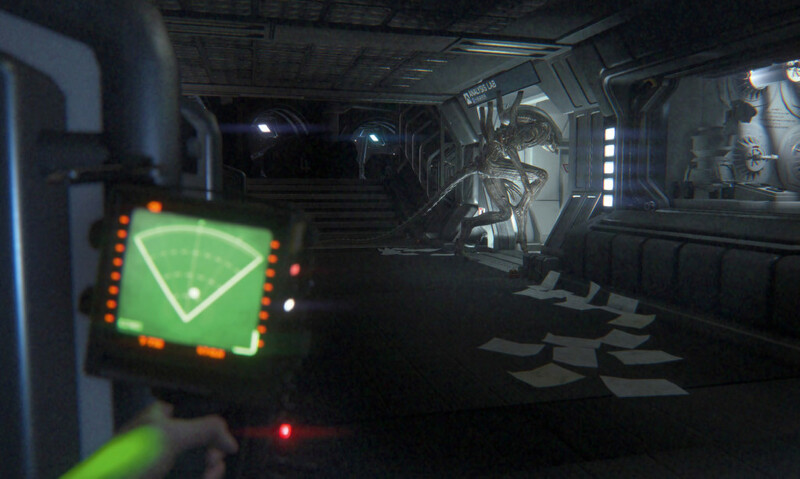 Materials were... okay, but not quite on par with ray-traced ones, lighting was mostly either pre-baked or simplistic, and image post-processing was in its early stages so that processed frames would often get that "blurry" look many consider the worst thing that ever happened to games during that era. 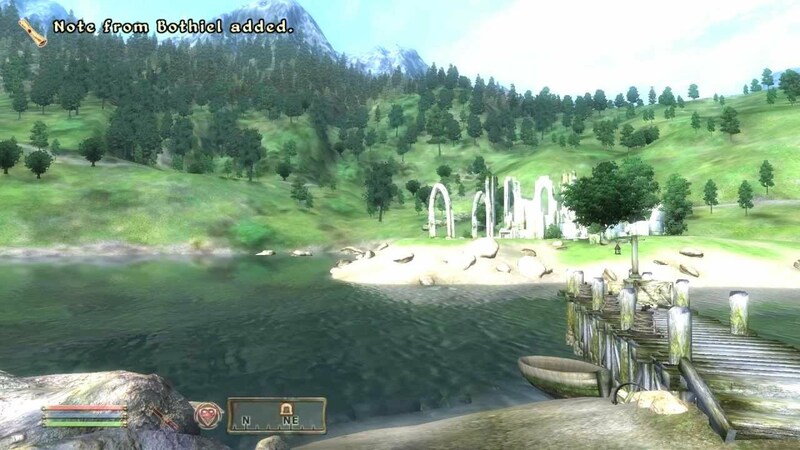 Remember The Elder Scrolls: Oblivion? 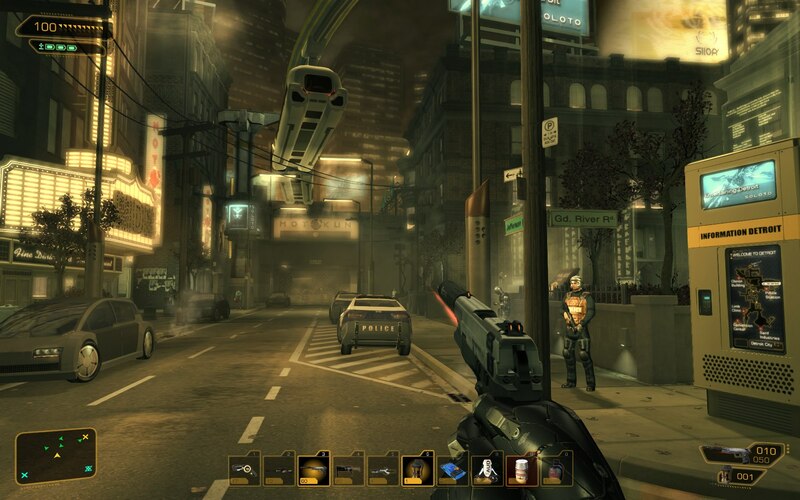 Or Deus Ex: Human Yellow Revolution? 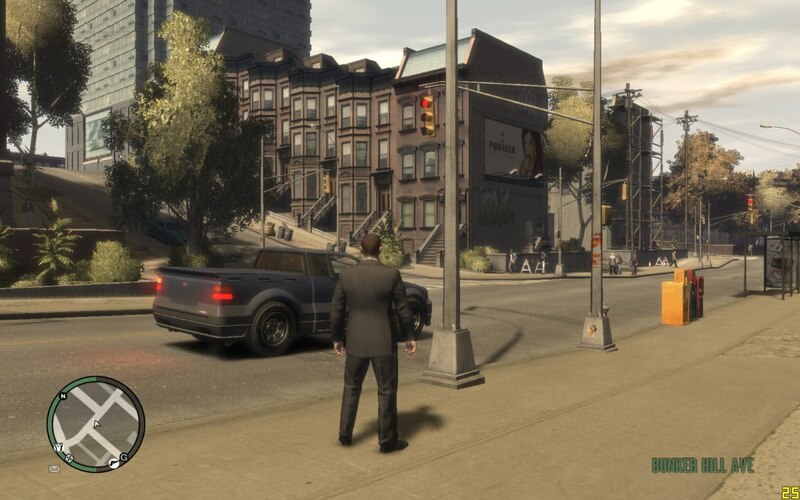 Or Grand Theft Auto IV? "Are you sure these are real-time?.." 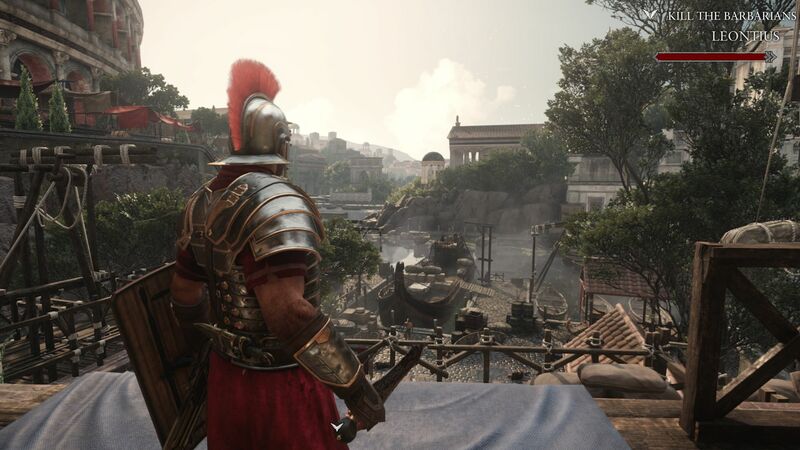 This massive leap in quality partially became possible thanks to the hardware getting noticeably more performant, but most importantly – due to game studios and engine developers getting lots of experience working with real-time 3D CG and making use of the latest developments done in OGL, DirectX and console GPU rendering pipelines. 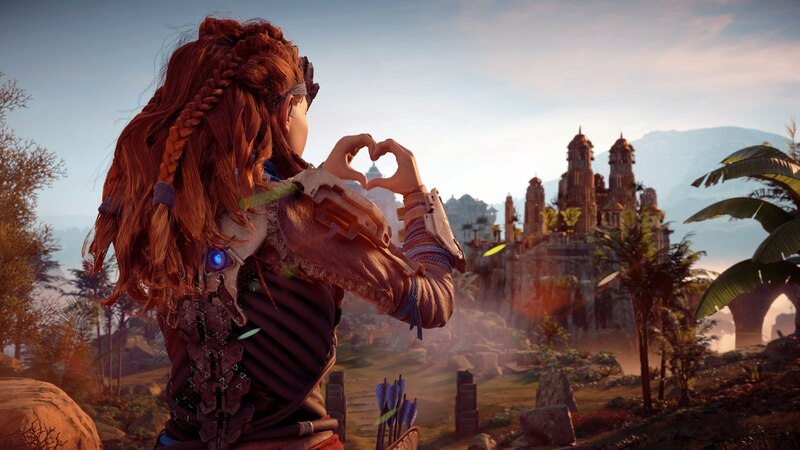 Ultimately the whole industry "matured" enough so that most of these milestones would become available in the most popular off-the-shelf game engines like Unity 5 (now "2017.x"), Unreal Engine 4 and CryENGINE 3. 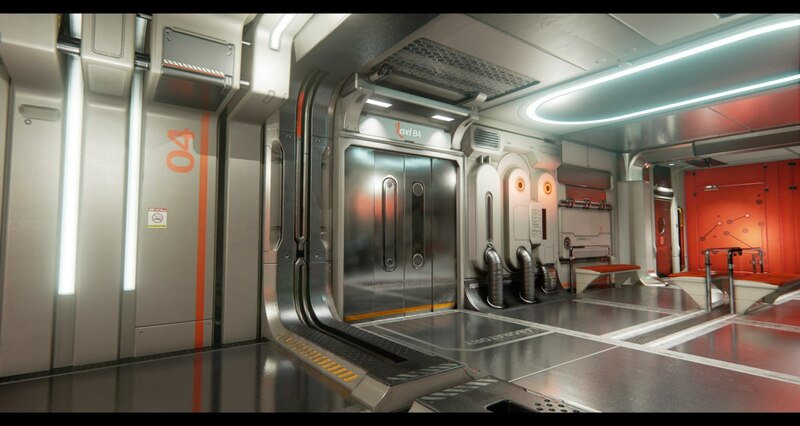 The more time I spend disassembling and studying those amazing real-time demo samples from Unity, Crytek and EPIC teams, the more it makes me want to "jump ship". 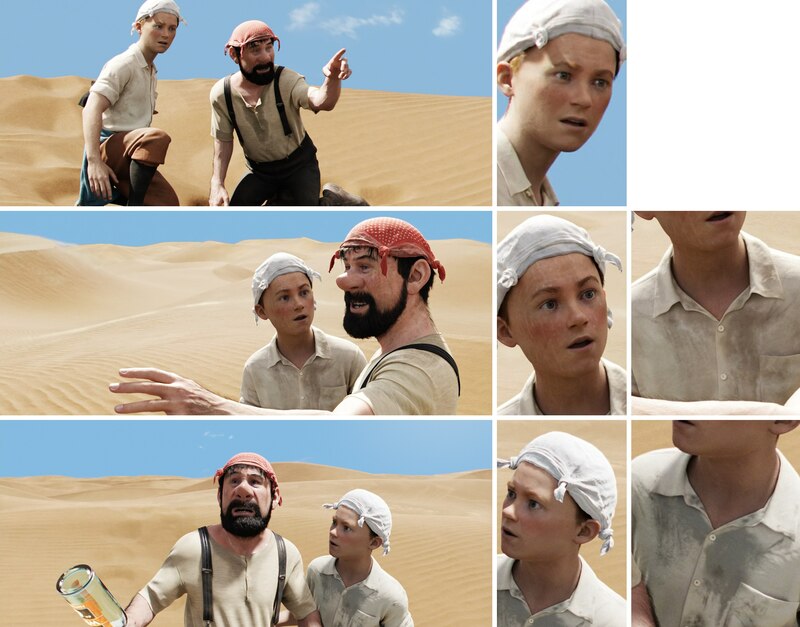 That is, instead of doing everything in the "traditional" 3D Digital Content Creation package like Blender, Softimage or Cinema 4D, and then rendering those pretty images on the GPU with Redshift as a true path tracer, it seems like many of the scenes of the movie I'm working on could be instead rendered directly on the GPU in OGL or DX11/12 modes in more or less real-time. Looking at the last four screenshots you may have noticed the massive bump in lighting and shading quality in AAA-titles released after the year 2013(-ish). The industry finally decided to let gamma-space lighting go and embraced linear lighting for high-budget titles. If you are not familiar with the term, there's an excellent article by Filmic Worlds you should absolutely check out. See these glowing edges? 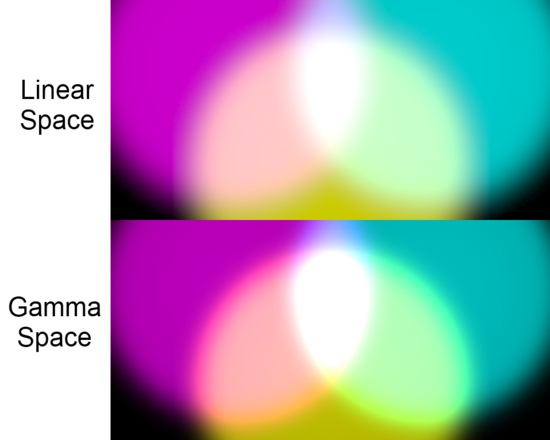 Mixing colors in gamma space is a terrible idea. Linear lighting processing makes working with materials and lighting very straightforward and the results – predictable. It is also what makes HDR processing possible at all. It wasn't long until we finally ended up with an excellent mathematical approximation of the original Disney's Physically Based Shading model. Thanks to PBR, with enough GPU memory you can pretty much achieve almost the same-looking results shading-wise as with real ray-tracing, and that includes such surface properties as surface and reflection roughness, HDR specular highlights, anisotropy, and metalness. 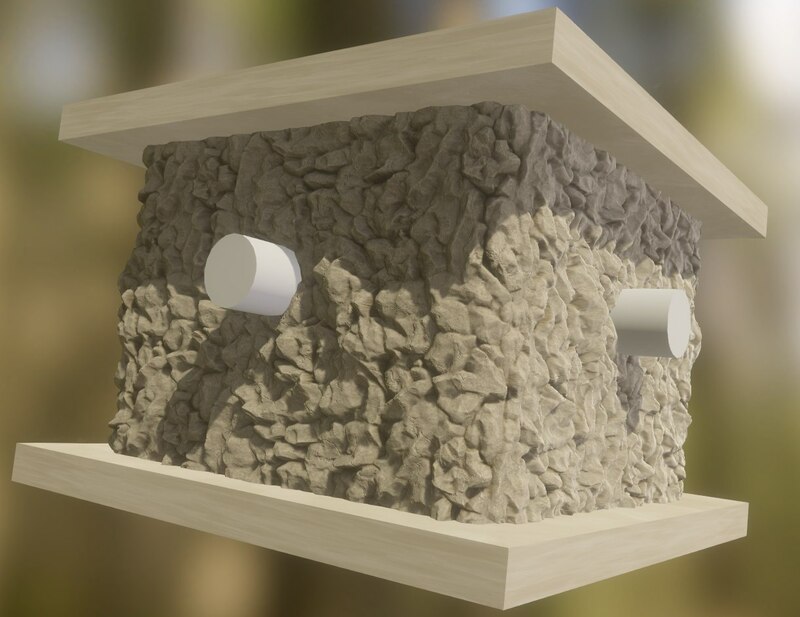 Overall, current implementation of Physically Based Shading model allows for a variety of realistic materials and, most importantly, properly set-up materials will generally look "correct" under most lighting conditions. Hard to imagine a material authoring pipeline without a node-based editor like the one most of us have long gotten used to over the years in our DCCs. 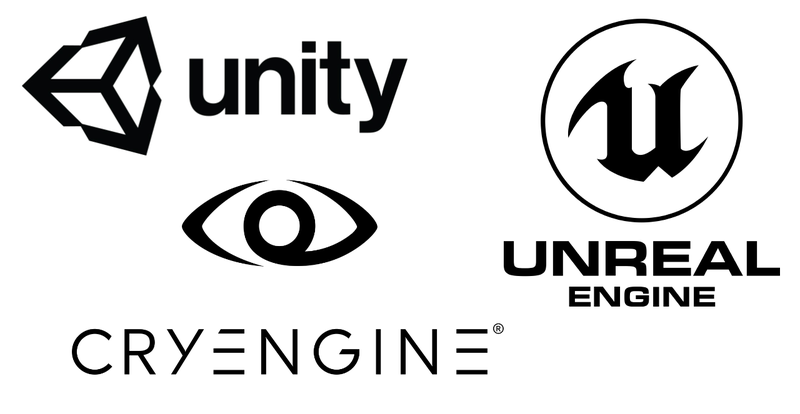 Unreal Engine provides one out of the box, whilst Unity doesn't (although Unity team recently announced that they would finally get to building one). But there exists an asset called Shader Forge, well-known among Unity crowd, which is basically an incredibly powerful material/shader editor. So no problems in this area as far as I can tell. 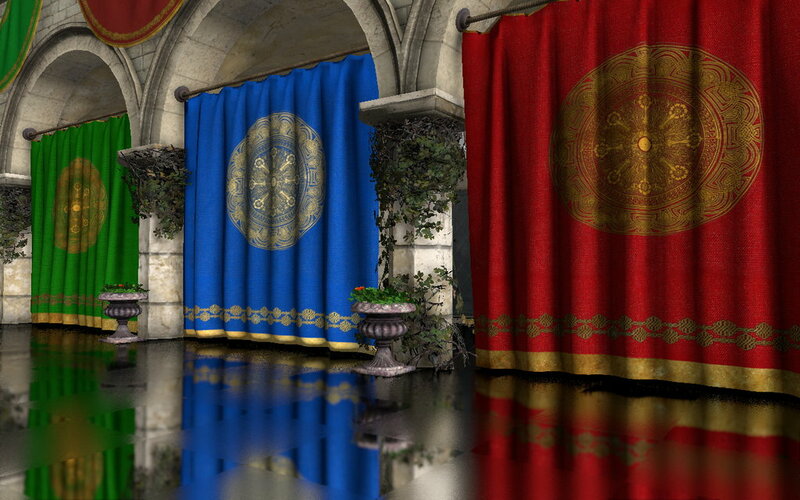 Several game engines support either precomputed static Global Illumination and/or its real-time implementations. "Real" per-pixel GI is very difficult to calculate even with the fastest GPUs, so simplifications are necessary. Of all methods of real-time GI I find voxel-based ones the most straightforward way to implement GI in interactive applications. Not games, though. Not yet at least. Neither of the two most popular game engines (Unity and UE4) provide such GI method out-of-the-box, even though at one moment in the past UE4 was going to have such a feature, but it ultimately got scrapped. Luckily, 3-rd party solutions exist, and one of them is called SEGI for Unity and NVIDIA VXGI for Unreal Engine which is actually a hardware feature of latest generations of NVIDIA GPUs (so it's not limited to just UE). GI makes any scene look better. Period. Voxel Cone-Traced GI is very taxing performance-wise but it does provide you with smooth real-time GI and some implementations can even calculate "infinite" bounces. There are inherent issues like light leaking and such but if we are going to render animated films and not games where the player can go anywhere, these problems can be solved on per-scene or per-shot basis. 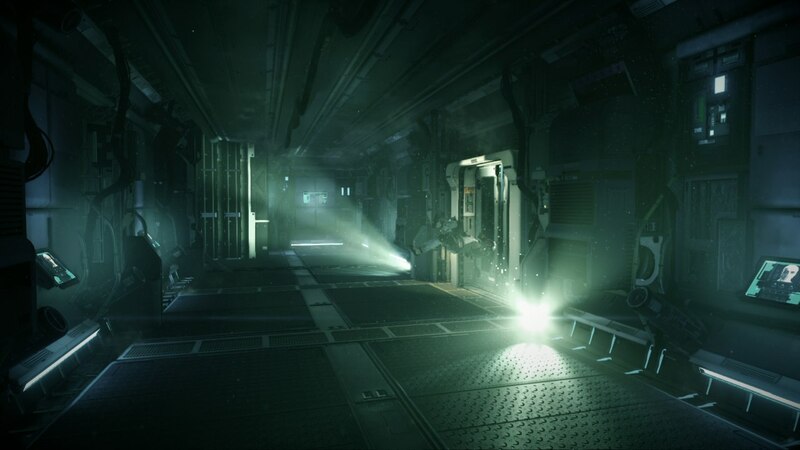 Needless to say, GI is absolutely essential for any type of realistic lighting, and it's nice to know that it's making its way into real-time apps and games. 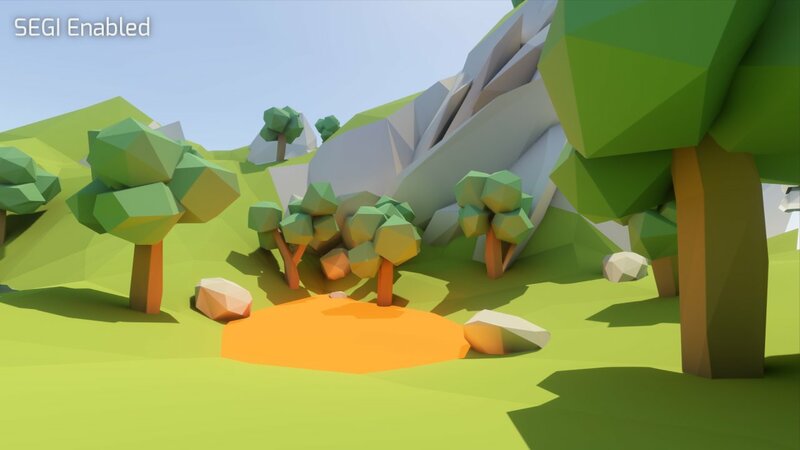 Modern game engines are able to process millions of triangles, efficiently parallelizing processing which results in smoother, more polygon dense models, including skinned and dynamic ones, like characters and soft-bodies. In many cases real displacement can either be directly baked into the models or dynamically applied with polygon tesselation. Latest DirectX also supports geometry instantiation, so unless you're limited by fill-rate or complex shading trees, you can fill your scenes with lots and lots of dense meshes. Well, duh. These are game engines after all! 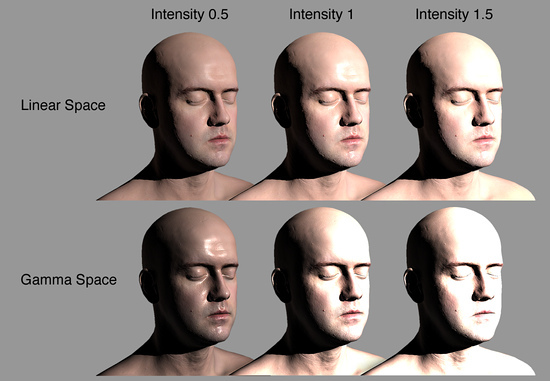 Simulation brings life into games and should also work for cinematics. Physics libs that come with Unreal Engine nowadays are also good, as far as I can tell. 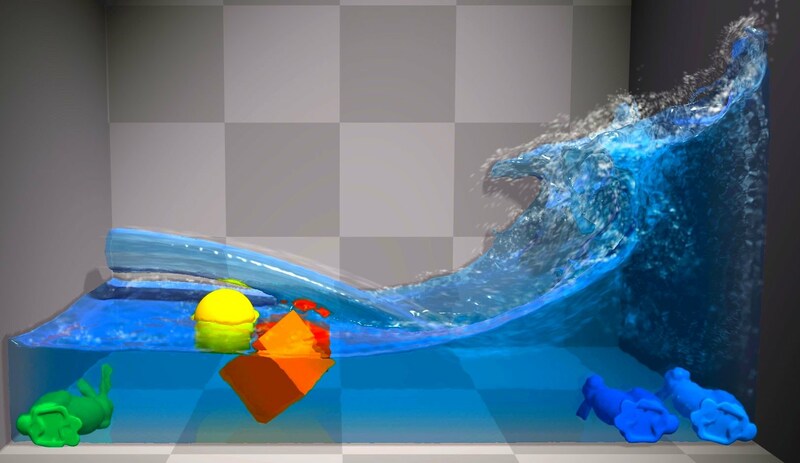 There are impressive physics assets available for Unity (CaronteFX) as well as Unity/Unreal (FleX), which can do all kinds of simulations: rigid, soft-body, cloth, fluid and particles. CaronteFX is especially interesting since it is positioned as a real production-quality simulation multiphysics solver developed by Next Limit. You know... The guys behind RealFlow. It's not strictly speaking real-time, but the idea is to utilize the interactive possibilities of the Unity game engine to drive simulations and then cache those for playback with little to no overhead. Since I don't have much experience with dynamics in games engines, I'll have to study this aspect better and will not delve into this topic for now. Like the cherry on the cake these effects turn mediocre renders into nice-looking ones, and good renders into freaking masterpieces. Sure, it's not just the materials. but also the rig and the blendshapes which add to realism, but subsurface scattering approximation is paramount for achieving believable results when portraying a wide variety of real-world materials including skin, wax, marble, plastic, rubber and jade. 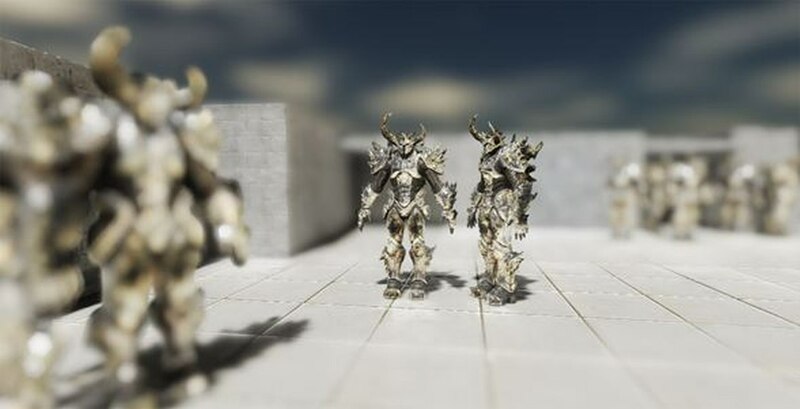 Due to DoF being a post-effect applied over an already rendered image, trying to apply too much blur to foreground objects will not look particularly good. It's a problem similar to that of any other video DoF filter like Lenscare by Frischluft. 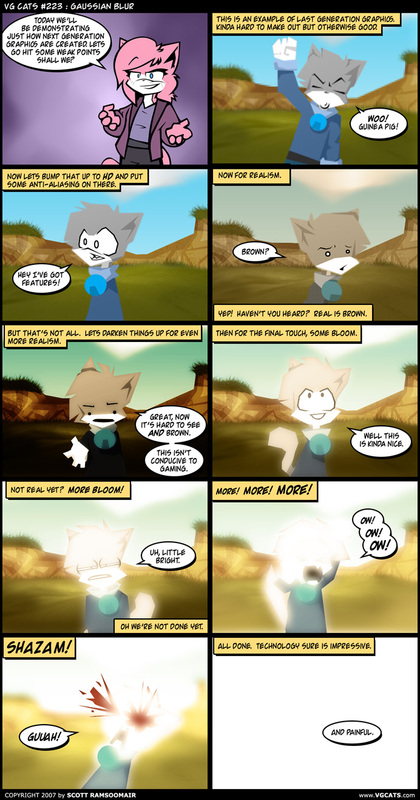 The solution would be to render out two passes to later comp the blurred foreground over the focused render. Come on! Can you really live without it? 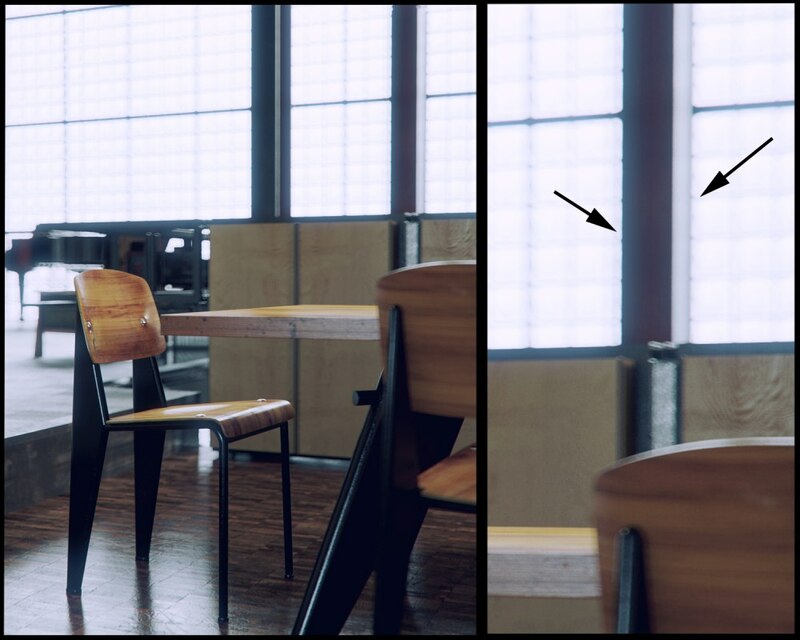 Combine Temporal AA with Super-Sampling and you have a beautiful, perfectly clean, flicker-free image which would take hundreds if not thousands of samples to achieve with a path tracer. And all of that goodness – in real-time! Although I don't quite understand the reasoning behind such a high asset pricing (a whopping 350$), it doesn't change the fact that this may very well be the best TAA I've ever seen (yes, including excellent Naughty Dog's TAA used in Uncharted 4). 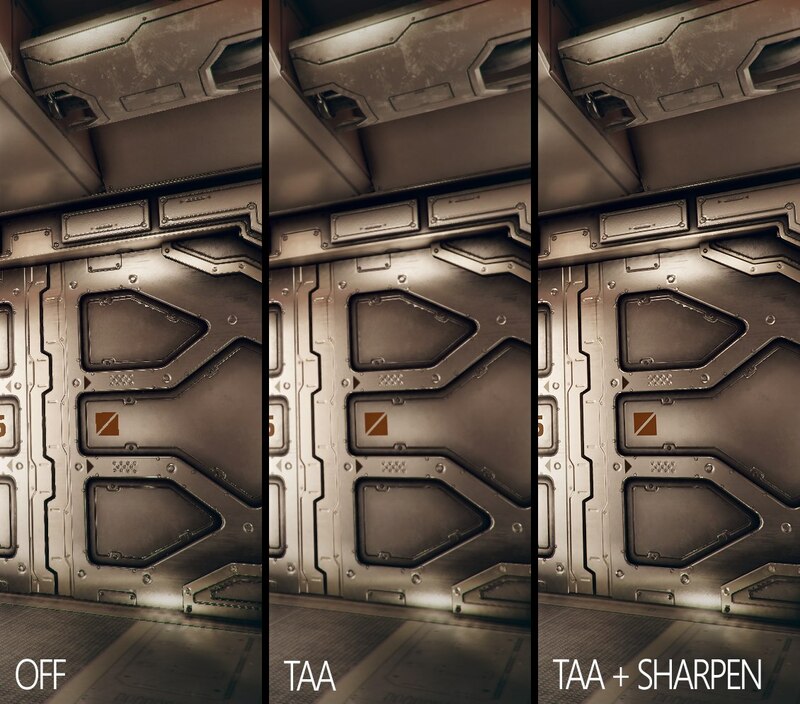 Still, from the looks of it even TAA, that comes with Unity's original Post Effects stack, looks pretty good. It took a long time, but we can finally get supersampled-like images from a realtime engine. This reminds me of a another great Unity asset available on the Asset Store: MadGoat SSAA and Resolution Scaling (basically an actual supersampling filter with a fancy name). It's especially useful in our case since it's not geared towards games as much as designed to be used to render cinematics and films at the best possible quality. Whether you're a fan or not, CA really adds to realism by simulating real-world lens optical imperfections. I like it! I love MB. I consider it the most important phenomena when it comes to cinema in both real and virtual scenes. 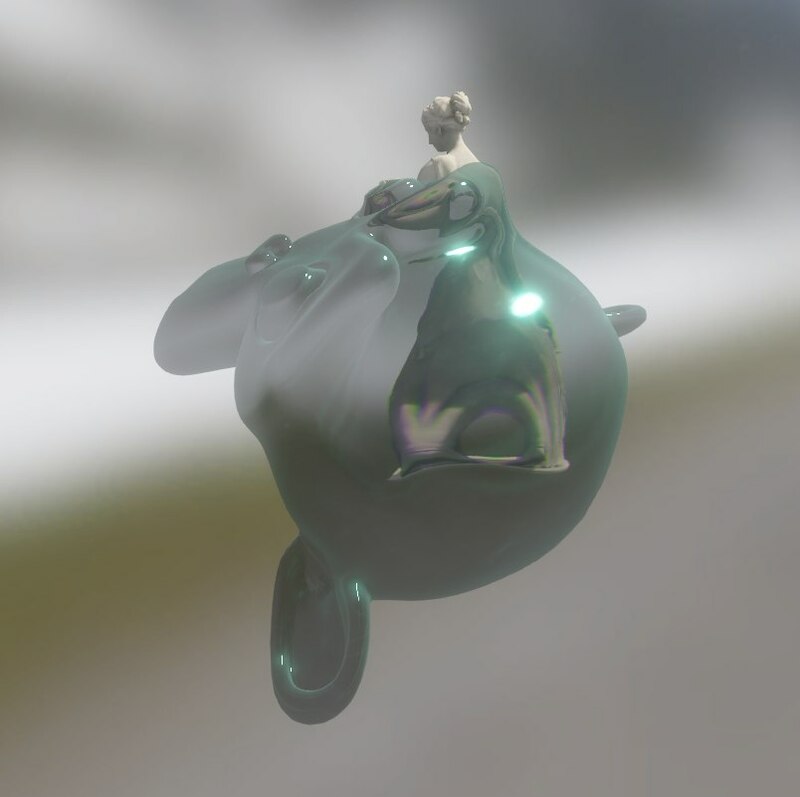 IMHO, Motion Blur adds "substance" and "weight" to the overall motion flow of the scene. There are many implementations of real-time MB available, and it only keeps getting better with each iteration. On the screenshot above you can see how DirectX 11 allows for a much cleaner separation of objects and motion vectors when applying MB over a rendered image. Comparison courtesy of geforce.com. Real-time SSR is a controversial topic. In theory it's a great idea to utilize already rendered screen-space data to calculate reflections, but there are many, many cases where SSR technique simply falls apart. 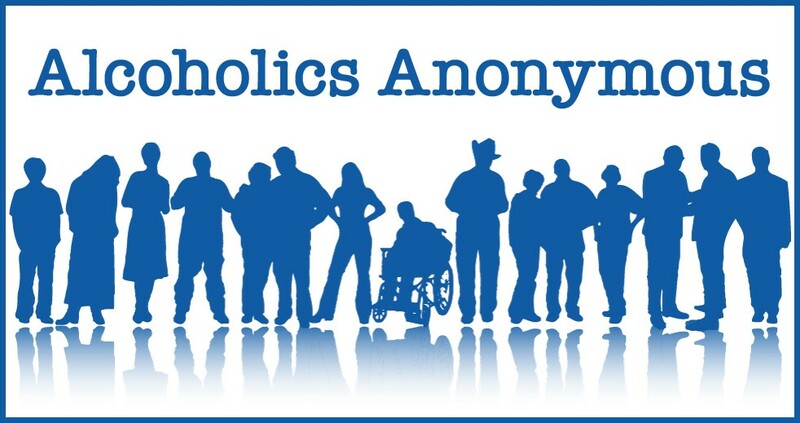 You can read more about these issues in this article. All in all, screen-space reflections look great when they work, but I think more times than not spherical reflection probes may fair better, especially if you make them update every frame. It will be expensive, but will provide you with reliable source of data for reflection mapping. Once again, we're focusing on looks here and not performance. Color grading can make or break your creation. 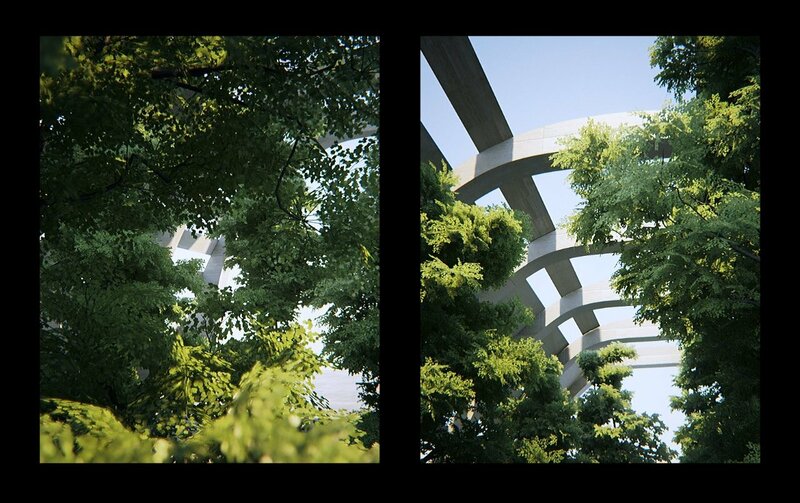 It can help transform ordinary renders into pictures with "substance" and "mood". 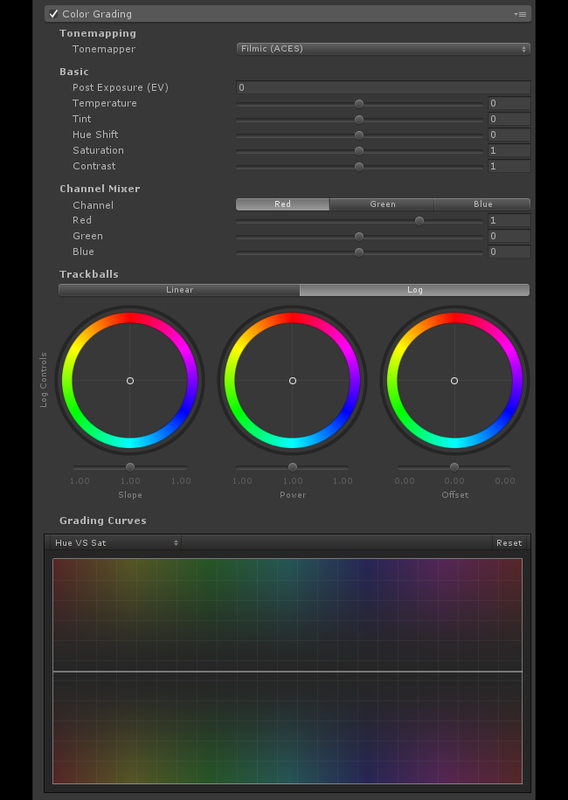 Looks similar to grading tool-sets available in DaVinci Resolve or Colorista doesn't it? Grading can be applied on per-shot basis, so in theory you should be able to pretty much cut or "edit" your shots right in the time-line editor of your game engine and apply post and color-correction simultaneously. Yes, this too is perfectly possible and can add more substance to your shots. It may be a little finicky to set-up, but current implementations are almost completely flicker and shimmer-free and look damn good. Can't say hair and fur real-time rendering techniques really evolved in publicly available modern game engines. Most of the time we still see good ol' static polygonal hair or, if you're lucky, a couple of skinned pony tails and polygonal hair strips or two animated with procedural turbulence. This is really puzzling since NVIDIA demonstrated great real-time dynamic hair back in 2004 in it's interactive demo named "Nalu". And that was at the time GeForce 6800 was considered one of the fastest GPUs. You'd think it would make it to the game engines sooner than later, but no! The demo ran at pretty high frame-rates on GF6800 and I'm truly baffled we still haven't seen anything like it even in the most recent games created in Unity/UE/Cryengine, since NVIDIA GTX 1070 for example is over 10 000 percent faster than GeForce 6800! 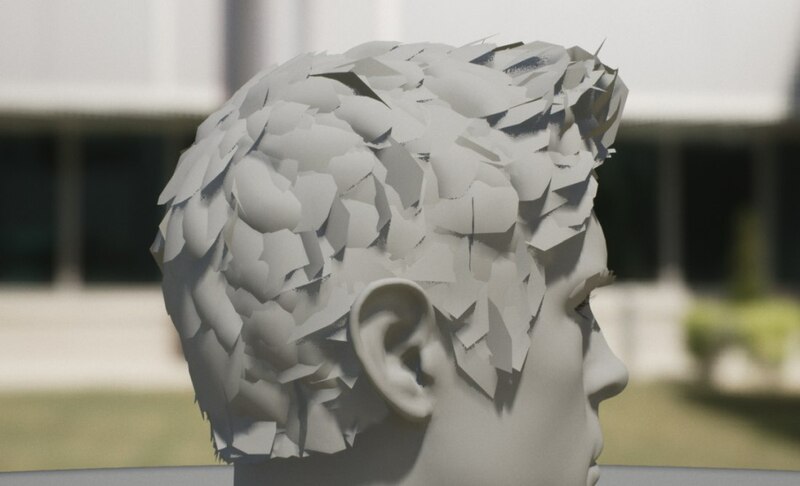 Modern GPUs are more than capable of such hair rendering techniques, but we're still seeing the good old non-planar polygon hair without much simulation (regardless whether the hair is short or long). Granted, shading techniques have gotten better, but it doesn't change the fact that we're still pretty much shading billboards! 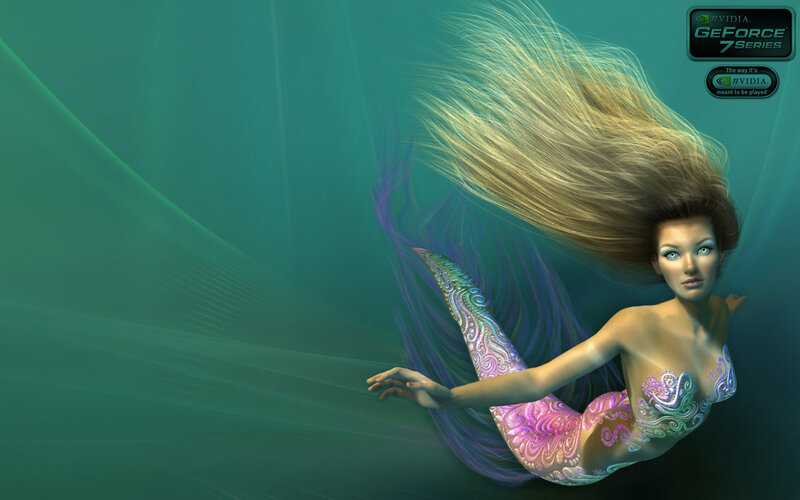 There have been some real-time hair developments like AMD TressFX, PureHair and NVIDIA HairWorks which look great, but aren't easily available in any of freely accessible game engines as far as I'm aware. I have a lot of questions regarding real-time hair and will spend more time studying the techniques and available tools in the near future. Several years ago I wouldn't dream about making Unity or UE a part of an animated film pipeline and not a usual interactive charade or a cold storage for completed game assets. Yet, here we are. Current versions of Unity and UE support well established interop formats both for import and export. 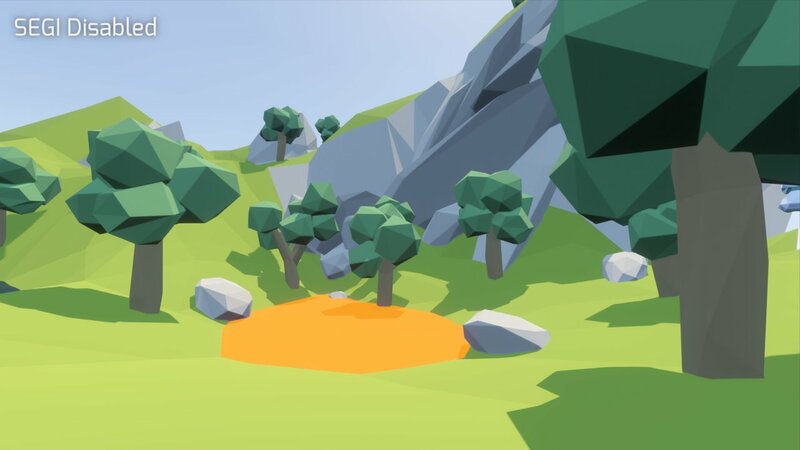 Unity team quickly realized the potential of the asset and Alembic support was later officially integrated into the very Editor, and the source code made available. 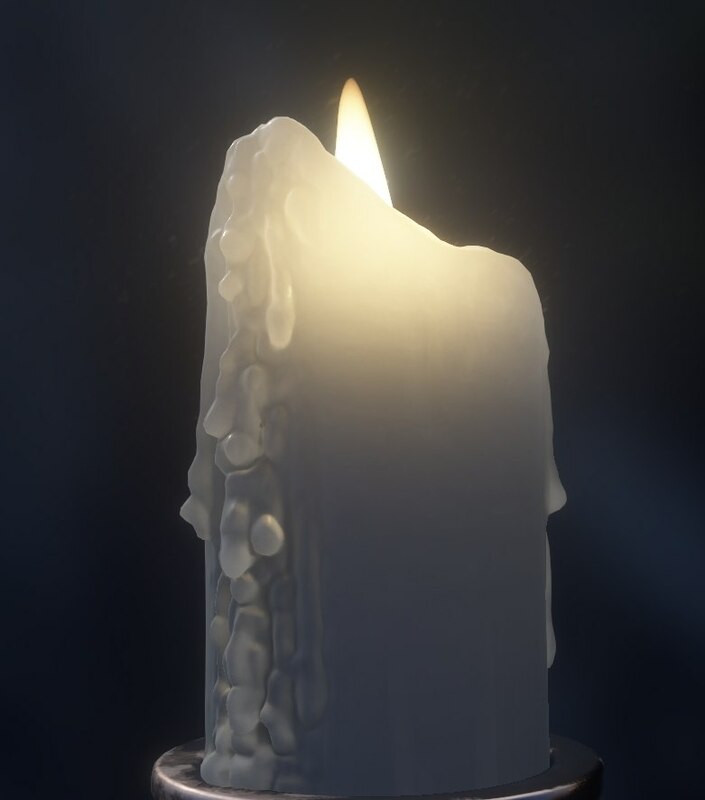 As is Alembic for the Unreal Engine. Then there is export. 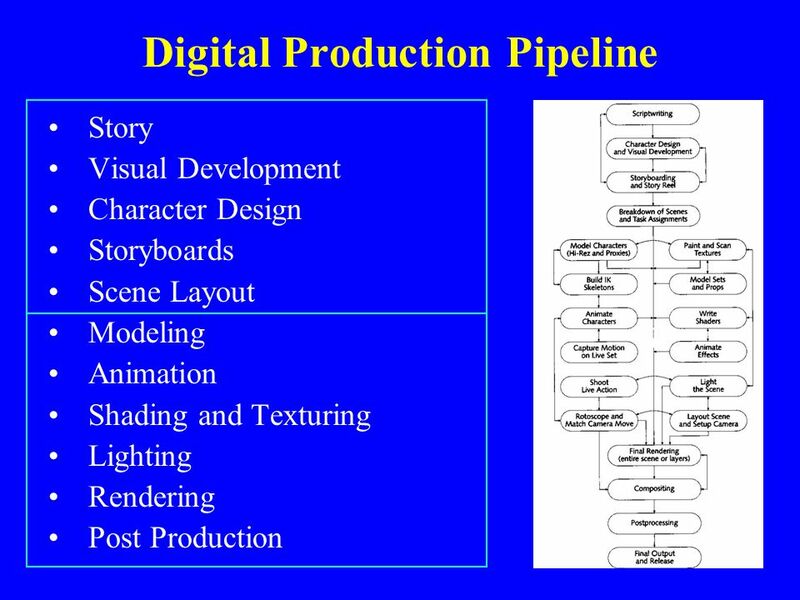 I remember doing all sorts of cool things in Unity and being bummed out that I couldn't easily export those into Softimage for rendering. 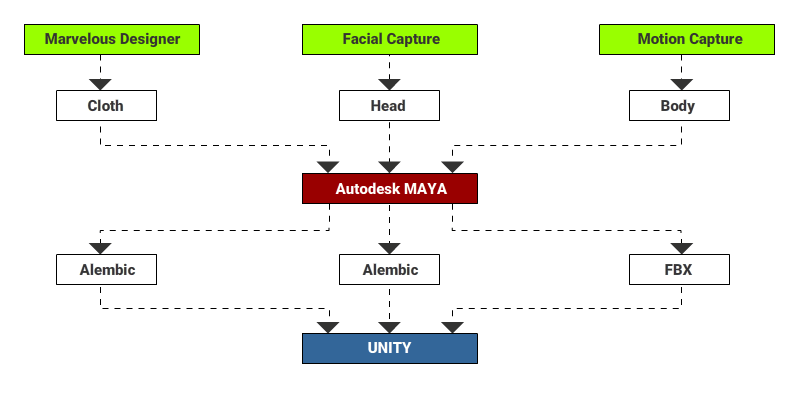 Now Unity supports exporting to Alembic and FBX! And that includes animation and most geometric object types as well as cameras. Sure, exporting 3D files and caches is fine and all, but the most important export is the one that pops out those pretty pictures onto the storage drive! I mean if you really try to squeeze out every bit of goodness out of your real-time game engine you will not probably get very "real-time" framerates, so ordinary screen-capture software won't cut it anymore. Hence you'll still need to capture those frames somehow, right? Well, you're covered! 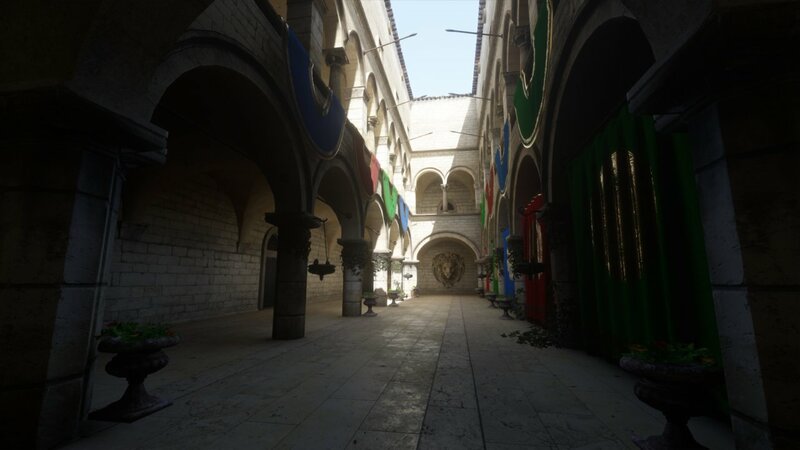 Unreal Engine Sequencer supports rendering cinematics with separate passes and into several image formats, including OpenEXR! Unity doesn't provide the same tool-set, but (surprise-surprise!) you can almost always find a asset on the Asset Store to do the job! In this case it would be the Offline Render. It can not only export passes for each frame, it also supports off-screen rendering which means the resulting resolution of your renders won't be limited by your screen resolution. It's no wonder then that such giants as Next Limit make Unity their first choice as a platform for the aforementioned production physics framework. With all the possibilities Unity gives to set up and direct simulations and object relations/parenting and such during playback and an integrated ability to easily export those results, I think we'll be seeing more and more cool non-game related stuff getting Unity interop support. Like Octane for example. Yes! 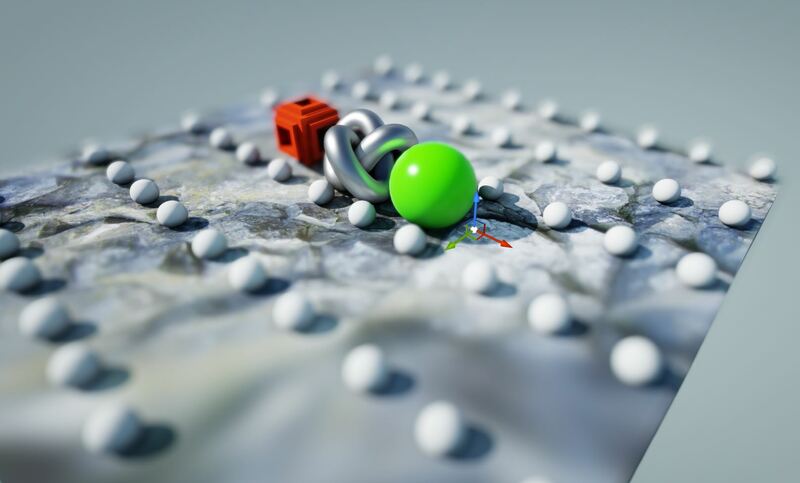 Octane renderer has an official Unity integration now. And the full-featured version for 1 GPU is actually available for free. All in all, graphics hardware capable of doing stuff seen in Unity and Unreal Engine tech demos as well as the Software itself which can finally utilize this power better than ever before is a duet to be reckoned with. Add real-time simulation and support for playing back point cached meshes for rendering and you have an interactive creative environment never seen before. Don't get me wrong though. 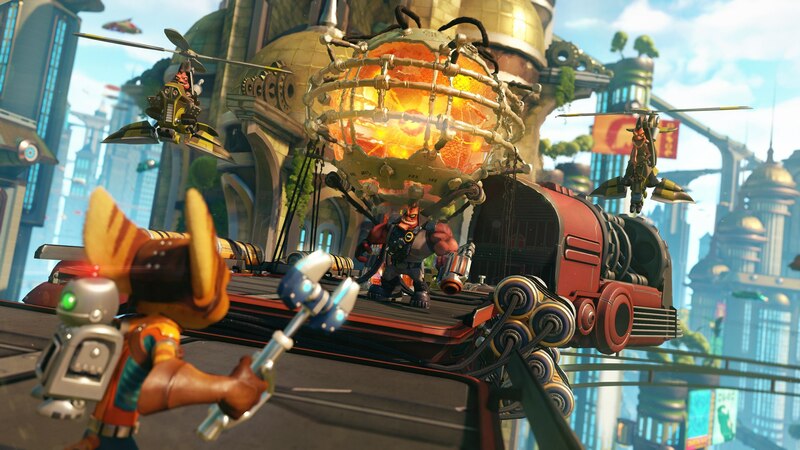 Real-time engines don't magically cut the film pipeline in half. Content creation is still there as well as the direction, camera work, lighting e.t.c. The biggest difference is that doing this in, say, Unity instead of Softimage+Redshift makes it oh so much more interactive simply because you can pretty much see the final rendered image at any given time without going through minutes or even hours of render time. In the end it's just more FUN! And I will sure take as much incentive as I can get when it comes to working on such a complicated personal project as an animated film.